Wes Penre: Sweden has for a long time been known abroad as the “Swedish model” ("Den Svenska Modellen"), which is associated with a more class-free society in a socialistic-communistic manner. People from other countries looked at Sweden with envy during the 50’s through the 70’s, and as a model for the whole world, especially because of the country's high living standard and excellent benefits. Now Sweden is no longer on top of the list of countries of well-fare states. As a matter of fact, the Illuminati created Sweden as an experiment in mind control, together with Canada, which is Sweden’s sister country in this project. Olof Palme: The Soviet Union had its weak points, but Sweden became a success. The government educated the children via the school system to become small social democrats (socialists), making them totally dependent upon the “system”, relying on that Big Brother takes care of everything. Olof Palme (Committee of 300), was put in charge to take care of the project, which they called “The Swedish Model”. Then came the economic collapse all over the world in the early nineties, and the Swedes were wondering what was happening and what had become of their wonderful country, where nobody had to take care of anything, and the government had cared for them all. People were very confused, frightened and sometimes desperate. The reason why the Illuminati were so pleased with Sweden was that they had found a system where people, opposed to the Soviet Union, weren’t even aware of that they were slaves. However, when this is written it is December 22, 1998, Olof Palme has been murdered (1986), and Göran Persson is the Prime Minister now. He is a perfect puppet for the Illuminati. 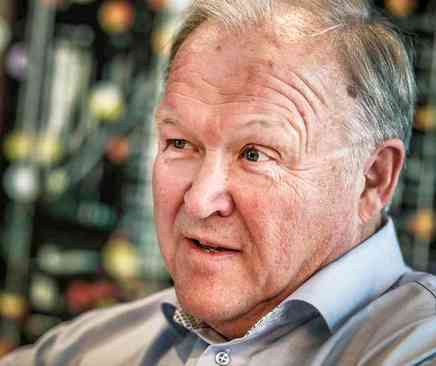 The Rothschild’s have been socialists for hundreds of years, and Göran Persson and his staff are the same core. As a matter of fact, the logo of the social democrats is the same as the logo on the House of Rothschild’s family banner, swaying outside their mansion in U.K.
Today he deceives his own people by telling them that the unemployment rate is decreasing thanks to his politics. What he is actually doing is that he forces unemployed people into different courses and education which will lead them nowhere, but it removes those people from the unemployment statistics. Also, people who do get jobs are often only temporarily employed and go from job to job and have no stable ground at all to stand on. Those people also disappear from the statistics and everything looks a whole lot better than it really is. The social democrats are the Rothschild’s best allies and his dearest pets. The Illuminati don’t want to decrease unemployment – not just yet. They now want to change strategy and create a mainstream “lower class” which will include most people; a preparation for the upcoming One World Government where the average citizen may be allowed to have a job, but is no more than a “lower class slave” with low pay (compare the old Soviet Union to get the idea), having no opportunity to oppose the system without being severely reprimanded. You will see this happen more and more on a global scale; third world countries will increase their living standards, while developed countries will decrease theirs, until it all levels out and becomes the cornerstone of the future Global Socialist State. In a real socialistic state (the one that is being prepared for) you have no rights, and your only loyalty is to the “system” and its leaders. If you look at Russia today, people suffer; they have no food, no job and no money. This is of course done on purpose, so that the people wish themselves back to the “old system”, where Big Brother took care of everything, when at least they had food on the table, somewhere to live, and a job to keep them busy. 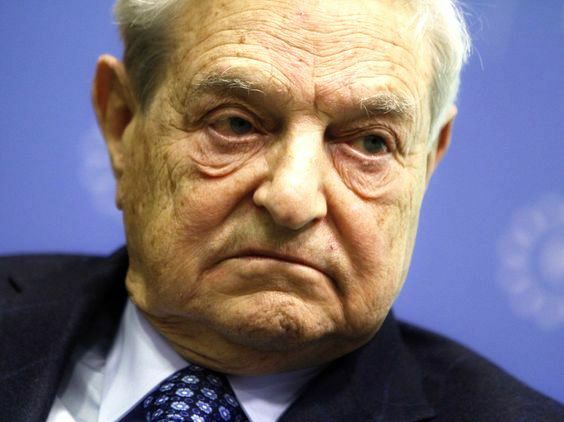 Recently George Soros(1), the Illuminati puppet multi-billionaire, was in Sweden to visit. The Swedish Government literally rolled out the red carpet for the man and saluted him like a king. Later he held a speech directly on Swedish Television, where he admitted to that he was the one who, through speculation with currency, created the chaos which led to that the interests on loans increased around 200% overnight in the mid 90’s. This resulted in that Sweden became almost bankrupt, and people had to leave their homes and sell their assets to manage. He said this right into the faces of the Swedish people like it was the most natural thing, and no-one reacted! It is men like him the Swedish Government salute as kings. 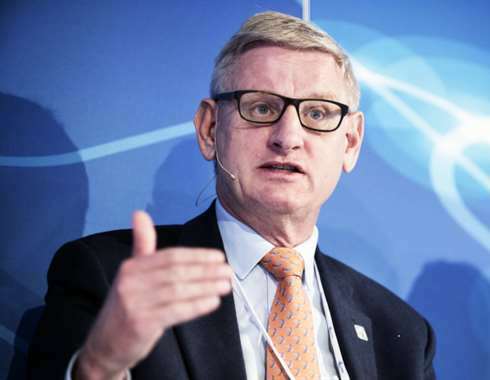 Carl Bildt (Bilderberger) said in an interview, not without pride, that George Soros was a good friend of his and that Soros had made a lot for the development in Europe and Asia, when the consequences of Soro’s acts in the mid 90’s are further restrictions in health care and mass unemployment, as the businesses had a hard time paying their debts due to skyrocketing interest, and had to fire staff. Svenska ledtrådar i korrumptionen av de Satanistiska kulterna bakom New World Order-konceptet. Det handlar i grund och botten om Frimurare och deras planer i Sverige startade med Socialdemokratins grundare, Frimuraren Hjalmar Branting samt en handfull anhängare från samma hemliga sällskap. Rasbiologi, Tvångssteriliseringar, Aerosolbesprutningar, en ständig kamp att hålla befolkningsökningen i Schack för att som det visar sig idag - ersätta Kristna med en storm av Muslimer. Det är en kamp för att uppnå potential i Satans rike inför Domedagen, Satans sista strid. Swedish clues in the corruption of the Satanist cults behind the New World Order concept. It is basically about Freemasons and their plans in Sweden starting with the founder of Social Democracy, Freemason Hjalmar Branting and a handful of followers from the same secret company. Racial biology, forced sterilization, aerosol spraying, a constant struggle to keep the population increase in check because, as it turns out today, replace Christians with a storm of Muslims. It is a struggle to achieve potential in Satan's kingdom before Judgment Day, Satan's final battle. The Wes Penre Papers looks very detailed and interesting, bar the astronomical and alien theories which I know nothing of.